That monkey looks like it could climb though – I mean, you’re in the pack can’t believe it’s going so hard and here comes a monkey. 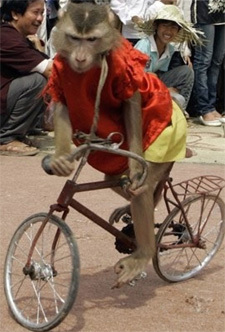 Hup, Hup, Hup monkey! Also note the smugness of that track stand.